For a long time, all I had was a catalogue picture. 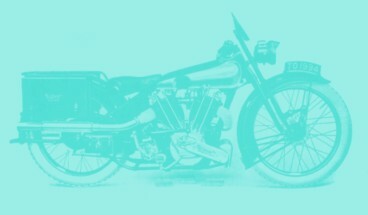 Fortunately, most catalogue pictures show the right hand side of a bike! Then, my friend Christian lent me the gear lever off his 750 Montgomery. This looks a bit different as it is straight, but apart from that I think it is rather the same. Here you see it fitted to my bike. The bit that bolts to the rear tank mount is a casting. 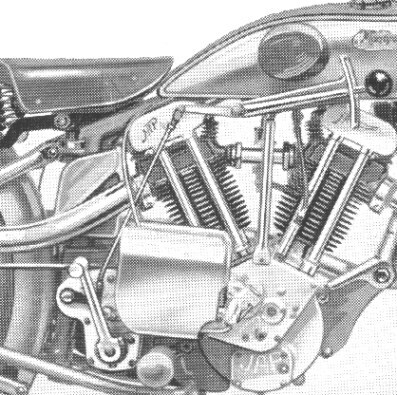 If you take a close look, you can see there is a lug for a third mounting bolt on it, right in front of the r.h.s. tank bolt. This bolts to an additional thread in the tank, presumably to give the whole thing a bit more stability, as the two tank bolts are supposed to be mounted with thick rubber washers. I can't help thinking this is a very, very poor design. 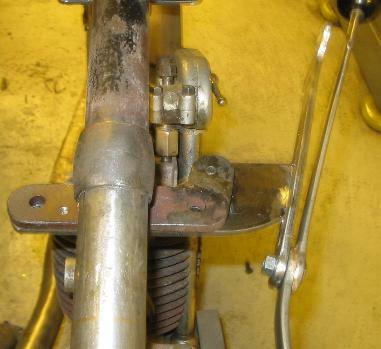 You want to isolate the tank from the engine vibrations, and then you bolt it rigidly to the gear lever bracket, which again is bolted to the frame - oh my dear! 2/2008: I had this extra thread replicated on my petrol tank, but when making the gearchange lever and bracket, I decided to ignore originality and make a small design change. I welded an extension to the tank mounting bracket, to which the extra bolt will attach. And I made another thread on the left hand side where the gearchange bracket bolts to the tank mount. This way I can put the tank on nice soft rubbers without the gear lever being wobbly. And the gear change gate won't fall to the floor when you take the tank off! The lever itself is originally also a casting, of course. ... but with a bit of filing and grinding both parts of they came out quite well. Here I am milling the recess for the spring at the pivot point. This is how the thing looks on the bike. The base bit is just tacked together. I will decide this when I have made the gate and when the tank sits on its proper rubbers.